OPEN HOUSE, SATURDAY, SEPTEMBER 1st FROM 10:00 - 1:00. 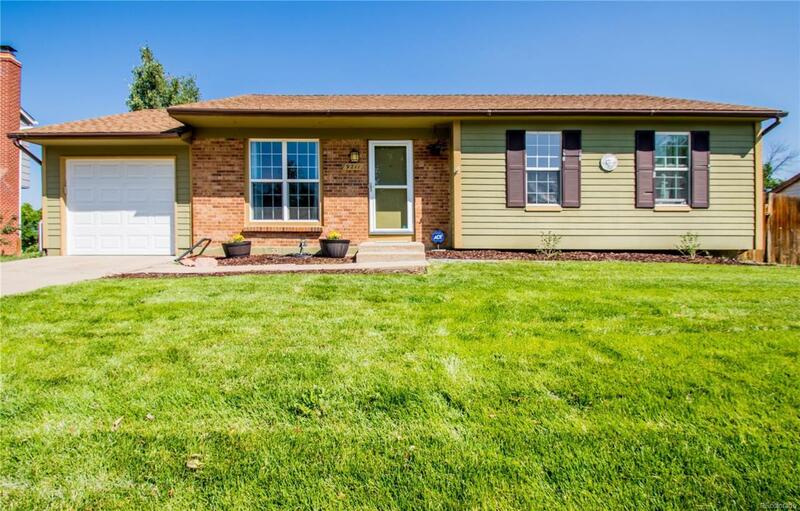 Wow, you will love the location of this sweet home near Standley Lake! This charmer sits on a large lot of almost 8,000 square feet and backs to a green belt with terrific mountain views. If you love to garden, this is the yard for you! Standley Lake is just a short distance away and offers great walking trails and breath taking views of the front range! The home has been recently updated with new white cabinetry in the kitchen, new paint and flooring. This is a great alternative to paying rent and a great opportunity to own your own home without high HOA fees that you normally pay with condos or town homes. If you're looking for that special place to call your own, this just might be the one for you!